The accept attribute used to specifies a comma-separated list of content types that the server accepts. 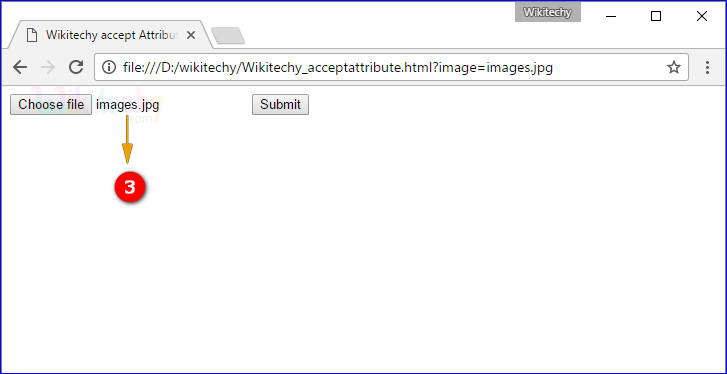 The accept attribute can only use with <input> file tag. media_type A valid media type, is used with no parameters. <input> tag used to get the inputs from the user. type=”file” used to specifies the file input. accept is used to specifies that the server accepted file types. “image/*” is define the input file must be image format. If we click the “Choose file” button open dialog box is displayed. 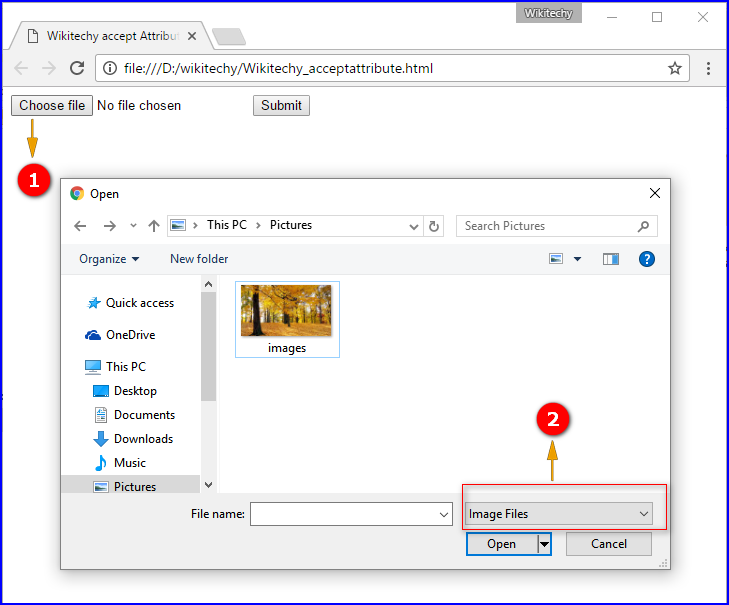 Open dialog box shows the default file type as image. We can choose only images from the folders. After choosing the image it shows that the image is chosen with its name as “images.jpg”. Do not use accept attribute as a validation tool. File uploads should be validated on the server.